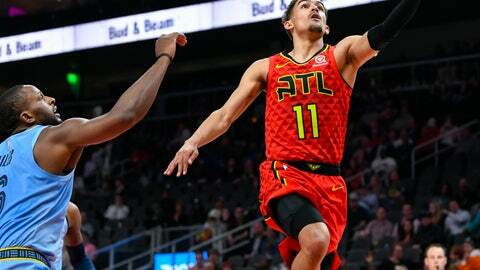 Collins had 27 points and 12 rebounds, Trae Young added 22 points and Atlanta snapped the Grizzlies’ three-game winning streak with 132-111 victory on Wednesday night. Though Young threw an alley-oop pass from deep in Memphis’ end for his dazzling dunk in the second quarter, Collins saved his best moves for early the fourth. He hit a runner and then had a strong athletic move against Jonas Valanciunas, who blocked Collins’ shot but still let Collins get off a second attempt — a reverse right-handed move — before his feet touched the floor to make it 116-92. Young and Taurean Prince each launched a long 3 on consecutive possessions to make it 80-62 early in the third, and the lead swelled to 23 on Collins’ fast-break dunk at the 8:07 mark. Hawks: C Dewayne Dedmon returned to the starting lineup for the first time in four games. He missed two games with a right knee contusion and came off the bench in Sunday’s win over New Orleans.